You may know Kristen Beat from various NASCAR media spots as the Sprint Cup girl but she has since moved on from the Sprint Squad at the beginning of 2013. We recently caught up with her on her newest venture called “Grassroots Beat” produced by NASCAR Media Group here in CLT. Grassroots Beat is a short pre-race segment that will cover varios drivers involved in motorsports and get a behind the scenes look at what they do on their day to day activities inside and outside of racing. 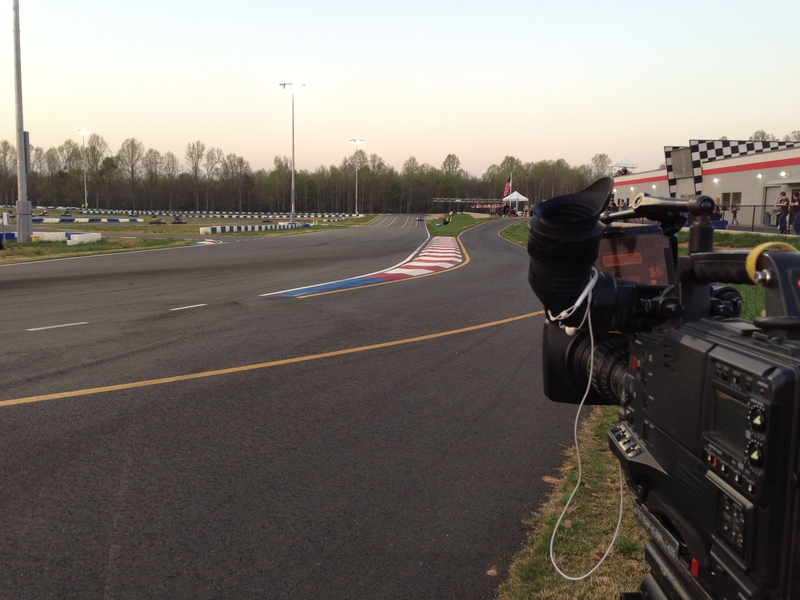 Our project was to cover various NCWTS drivers as they compete in go kart races at Mooresville Motorplex (MMX) . 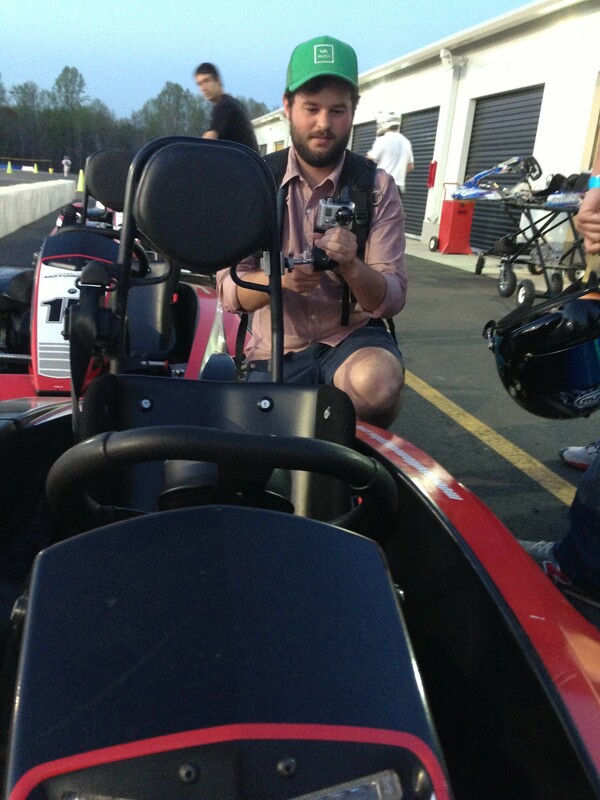 We arrived at the track and immediately started shooting various stand-ups on the HDX-900. We also got B-roll of the surrounding track and flavor of the event. Before the race we mounted several GoPro’s to the drivers helmets and cars to get a little POV action. Go-Kart racing is no joke, some of these cars are tuned to go up to 90 MPH. Thats some serious speed for such a small compact cart. We were lucky and some of our Go-Pro’s actually caught a POV’s of some wipeouts! Luckily the driver were ok but it made for some great POV shots. The shoot wen’t down without a hitch, can’t wait for the next one. Be sure to tune in pre-race for Grassroots Beat to catch all of the action! Aimed and ready at the start/finish line. Mark with a little “added value” to one of our Go-Karts.